> The display module is general and can be exchanged. You can build any size and display any color as you want. > Double housing structure, forms the internal natural convection patter to keep the temperature balance. > The joint between module and cabinet adopt O-shaped seal ring, keep good moisture proof to prevent leakage performance. > Module encapsulations adopt advanced soft silica gel, and get good elasticity and anti-aging ability. > Adopt cooling fin for power and other important IC device, avoid the fan fault to make screen down. 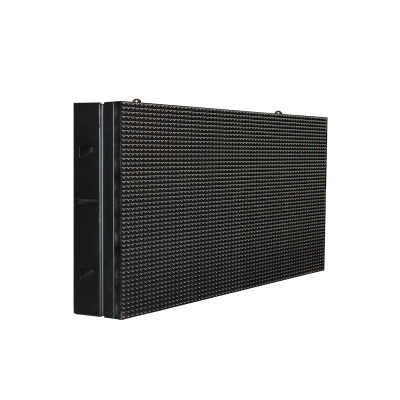 > Choose device of wide temperature range, guarantee the normal daily work of the screen under the environment of high and low temperatures. > Adopt industrial processor in control system and get higher reliability. > Adopting mature large-scale integrated high-speed network serial transmission instead of discrete parallel transmission chip, reduce the complexity of display transmission, reduces the complexity of the control system, improve the stability of the product. > Adopt net cable to transmit data, reduced the screen internal transmission cables, greatly improve the stability of the screen. > Adopt generic network data transmission technology, improve variable message sign displayed speed.